This blog title is misleading. I make no claim to understand why a book becomes a bestseller on Kindle. I have a few hypotheses, but no real way to test them. So I'm going to ask you what you think. 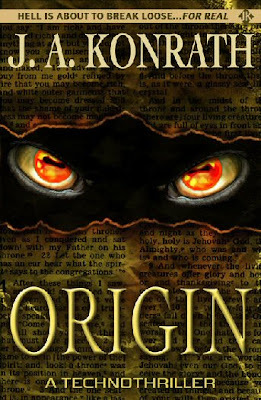 Currently, I have four self-published ebook novels on Kindle, each priced at $1.99. As of right now (Feb. 17 at 7:20am) one of these novels has sold 1327 copies so far this month. Another has sold 519 copies. The third has sold 212. And the fourth novel has sold 166. There's a big gap between 1327 and 166. And I've been scratching my head for months, wondering why that gap has stayed so wide. Is it cover art? Is it genre? Is it the writing sample people can download for free before they buy? Is it the product description? 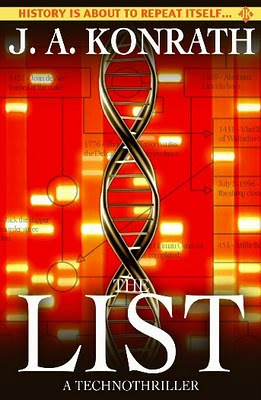 Is it bestseller ranking (meaning a bestseller continues to be a bestseller because people see it on the bestseller list)? Is it word of mouth? The natural assumption would be that this book sells the best because it is my best. But I don't feel it's better than the others, and neither do readers if we go by reviews and the email I get. This gets even stranger, because if I look at the downloads on my website (three of these books are available for free on my site) the bestseller on the Kindle store isn't the bestselling download on my webpage, even though the ebooks all have the same cover art and description as their Kindle counterparts. These books have been on Kindle since April. One might think that the numbers would have reached some kind of equilibrium by now. That the biggest seller would slow down, and those who read it and liked it would be buying the other three books. Or that the top bestseller slot would change. My question to you is: why? I'm going to post the covers and the product descriptions for all four. I'm also going to post links, if you're so inclined to download the free sample. After you look at the covers and descriptions for each, tell me which you think is best, and why. JA Konrath is the author of six mysteries in the Lt. Jacqueline "Jack" Daniels series, including Whiskey Sour, Bloody Mary, Rusty Nail, Dirty Martini, Fuzzy Navel, and Cherry Bomb. 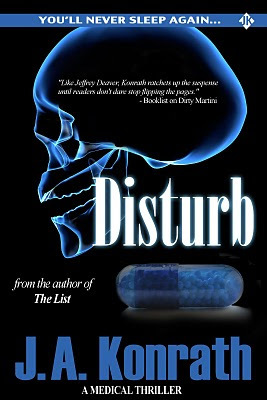 Disturb is Konrath's first medical thriller. JA Konrath is the author of six novels in the Lt. Jacqueline "Jack" Daniels thriller series. The latest is CHERRY BOMB. So tell me, based on the above, which is the most appealing? 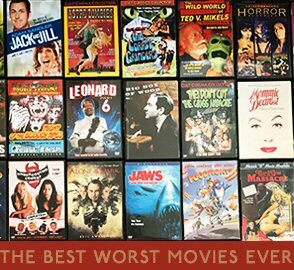 What's the best cover? What's the best description? Why is the bestselling ebook selling almost seven times the number of the least selling ebook, when they're all thrillers written by the same author and with similar styles? I'm eager to hear your responses, because I flat out have no idea why one book sells more than the other three combined. If you follow this blog regularly, or click on the links to read the free samples (you can download a Kindle reader to your computer for free), you already know which one is my bestseller. But please refrain from trying to explain why it's the bestseller, because that's attributing significance to an occurrence after it happens. Which JA Konrath Kindle Ebook Would You Buy First?